As you know, the QuickStart Course is delivered to you through our online membership site. You may view the 13 hours of video lessons at any time you wish by logging in to the website. You may also download the video files for offline use. If you would like to have a “hard copy” of the course, or your internet connection is slow or unreliable, you may prefer to order the course on DVD. Since the QuickStart Course materials total 3.73 Gigabytes, they fit onto a single disk. 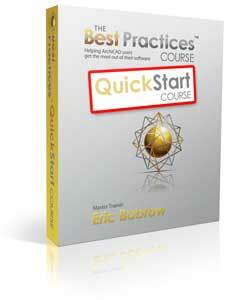 You may order a copy of the QuickStart Course DVD for $19 including shipping anywhere in the world. NOTE: This DVD is only available for purchase by QuickStart Course members – please login to the website to access the order form.